Running along the Los Osos Valley in San Luis Obispo, California is a string of nine volcanic plugs sacred to the Chumash and Salinan indigenous peoples of that area. The Morros, as the small string of peaks is called, run southeast to northwest and end with Morro Rock in Morro Bay. Morro Rock, the most sacred of these plugs and the location where countless rituals have taken place over the years, was originally named El Morro by Juan Rodriguez Cabrillo when he first set his eyes upon it in 1542 (Morro). In Spanish “Morro” means crown-shaped hill. I was once told that the origin of the word comes from the Spanish word for Moor, because round hills resemble the Moors’ turbans. The rock was at one time completely surrounded by water but was periodically quarried from 1891 to 1968; a causeway and breakwater were built from the rocks and sediment, connecting Morro Rock to the mainland (see photos 1&2) (Felsman). 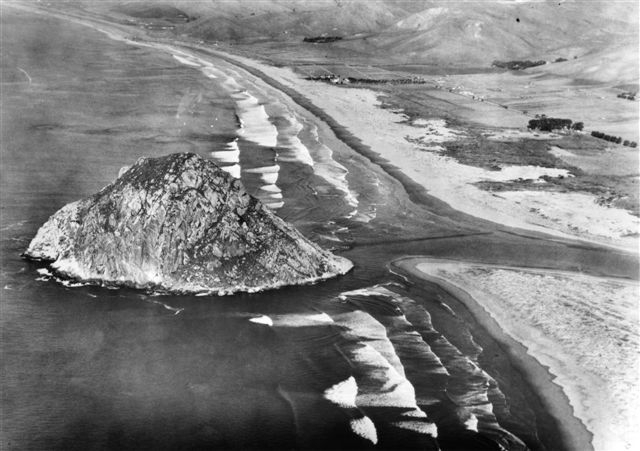 To prevent further quarrying and defacing of Morro Rock, it was designated as a State Historical Landmark in 1968 (Felsman). Since then, climbing the rock has been off limits to the public as loose rocks have made such activities unsafe. In addition to safety issues, El Morro is also closed to the public because it is a designated Peregrine Falcon sanctuary (Felsman). The majestic raptors have nested on Morro Rock for centuries, and it was at one time one of the last remaining nesting sites in California when extensive use of DDT nearly drove the Falcons to extinction (see photo 3). Rehabilitation efforts since the ban of DDT have been successful in increasing Peregrine population once again, and it is now common to see the fastest animal in the world flying above the bay. But many locals remember how close they were to losing the Peregrine Falcon (to see one in flight makes it immediately apparent why they are such respected animals), and are very protective of its habitat. Surprisingly, the concern over the birds’ safety has caused much dispute over a landmark that Chumash, Salinans, and birdwatchers all consider to be sacred land. The dispute here has been interesting and unique, because the factions involved all consider the landmark to be sacred for varying reasons, but have different ideas regarding how it should be respected and protected. It seems most disputes over sacred land involve Native Americans attempting to reclaim land essential to their traditional beliefs, sacred land that they are losing control of as overuse by the American public destroys it. But in this case, only one man was attempting to reclaim the right to practice his traditions on land he considered sacred. The opposition was not damaging Morro Rock, nor were they making any claim to ownership or exclusive or even shared access to the site. In fact, they were concerned with protecting Morro Rock from all humans; concerned that Native Americans’ possible access to the site could be damaging to a landmark that has become sacred to more than just the Salinan and Chumash. Although this fear seems absurd given their history compared to our own, it is important to learn as much of the true story before making any judgments. 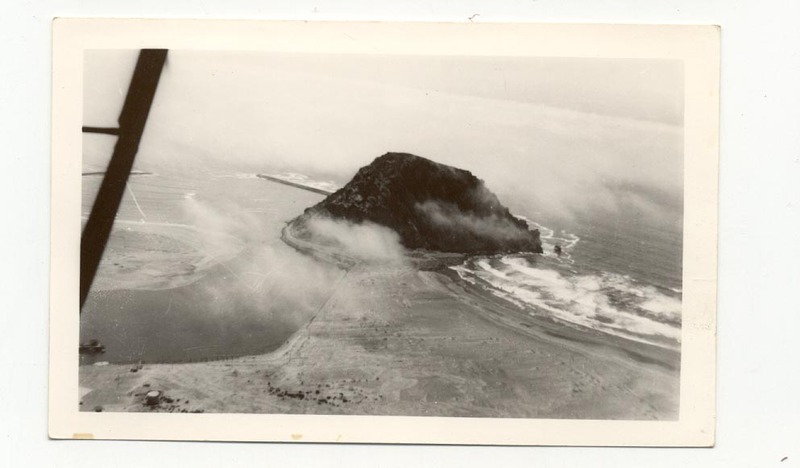 John Burch, one of the 700 or so members of the Salinan Nation still alive, can remember performing rituals on Morro Rock as a boy long before it was restricted to the public (Dillon). According to Salinan legend, Morro Rock is where Falcon and Raven defeated the terrible two-headed serpent-monster Taliyekatapelta (Brusa, 55). Falcon and Raven one day long ago decided to hunt down and kill Taliyekatapelta. They found the monster somewhere inland, but it was more powerful than they had expected. Falcon and Raven fled towards Morro Rock, where Raven’s powers came from, but Taliyekatapelta chased after them. The snake encircled Morro Rock and began to climb up in pursuit of Falcon and Raven. But as it approached Falcon and Raven took out their knives, and when Taliyekatapelta was close enough, they hacked it to pieces (Brusa 55). Another legend says that Falcon and the Salinans also derive their power from Morro Rock (Dillon). The most recent rituals though, do not seem to pay much tribute to these legends. As a sacred place, the rock was most importantly used during rituals on the summer solstice and “when praying for safe passage to the next world for loved ones that had passed on” (Dillon). On the solstice, when the sun was at its furthest point north, the Salinans climbed Morro Rock to pray for the sun to return (Dillon). Without their prayers, the sun would disappear in the distance and never come back. For the sake of the Sun, the Salinans, and their legends, John Burch felt it was imperative that Morro Rock remained a sacred place to his people. About forty years after his grandmothers had taken Burch up the rock to perform Salinan rituals, he had the urge to return and perform those rituals once again. Unfortunately, Burch could no longer legally climb the rock due to the restrictions placed in 1968. In 1999, when Burch was 49, he procured a special license from the Department of Fish and Game, permitting him to summit Morro Rock on certain dates to perform religious rituals (Dillon). He did so several times without incident, until on one descent some bird-watchers spotted him. Word quickly spread that a Salinan man was climbing Morro Rock multiple times a year and controversy sparked. Concerned for the safety of the Peregrines, environmentalists garnered the support of the Chumash Indians (the other local tribe) and attempted to have Burch’s permit revoked (Dillon). The Chumash were less concerned for the safety of the falcons than the bird watchers. Quite rationally, they did not see one man paying tribute to the spirits of the natural world as particularly threatening to the formidable birds of prey. After all, the Salinans and the falcons had coexisted peacefully for centuries; it wasn’t until white men arrived that both were nearly driven to extinction. It later turned out that those concerned for the peregrines did not see Burch as dangerous either; their concern “was not over just one man being allowed to climb the rock, but fear that it might open the door to a parade of climbers. After all, if one person could obtain a permit to climb for religious purposes, how could others who might make similar claims be turned away?” (Dillon). Being quite fascinated with the peregrines myself, I can’t help but feel that at least a part of their issue with his permission to climb Morro Rock stemmed from jealousy as well. The Chumash dispute with Burch, however, involved other concerns. The Chumash, who also believe Morro Rock to be sacred, but practice their rituals at its base, did not recognize the religious significance of the landmark to Burch (Dillon). They questioned the motivation behind his sudden interest in rituals that he had seemingly abandoned for forty-some years. Their suspicion was not completely unwarranted; John Burch had arrived on the scene at about the same time that Duke Energy announced they would be tearing down the PG&E power plant near the rock and building a new one (see photo 4) (Dillon). Because the area was a well-known Chumash historical site, law mandated that members of the tribe oversaw the work in case any artifacts or burial grounds were uncovered (Dillon). Burch’s sudden claim to the area raised more than a few suspicious eyebrows at the time, and the Chumash feared that they might have to share or even relinquish their rights to the excavation site to the Salinans. They thought his sudden unveiling of a history of practicing rituals in the area could spark a dispute over what tribe had claim to the area and any artifacts that might be uncovered. The suspicions amounted to nothing, though. The Chumash were granted the right to oversee the demolition without contest from the Salinans and John Burch (along with other members of the Salinan Tribe now) continues to practice his rituals atop Morro Rock, proving that he truly was interested in reawakening his cultural heritage, no matter how many years it had lain dormant (Dillon). The dispute over Morro Rock and the unique way in which it played out raises many questions concerning the difficulty of defining, designating, claiming and reclaiming sacred space. If all the problems with Native American sacred spaces involved non-native Americans defacing, disrespecting, and destroying them, we could solve them with one solution: punishment. Not that it would be easy or simple, but at least it would be straightforward. The reality though, is that with the variety of circumstances and situations, one solution will never exist. So many of the people involved in sacred land disputes have good motives and great respect for the land, especially when the site possesses such natural power that its sacrality is primarily ontological. They simply have different backgrounds; the reasons nature is sacred are never the same for each person. So how do we accommodate all of them? Whose side do we chose when no one is acting out of disrespect or ignorance? I guess the only thing we can do is educate ourselves as best as possible, then do what we think is right. It won’t be easy, but we must do something, the worst course of action would be to ignore those places most powerful in our collective cultural history. We cannot cast aside the greatest gifts the earth has given us. There remains a question I don’t even have a guess of an answer to though. The question that confuses and concerns me the most is one Dillon brought up in her essay. Photo 1: Morro Rock before it was connected to the mainland. Photo 2: Morro Rock when it was first connected to the mainland. You can see the newly built breakwater on the far side of the rock. 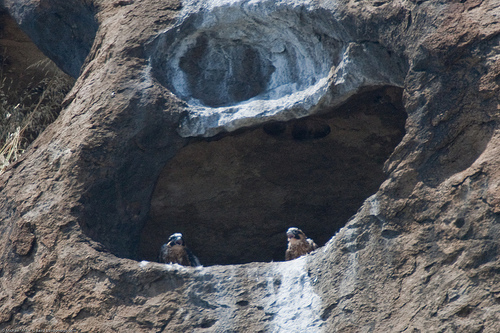 Photo 3: Peregrine Falcons nesting on Morro Rock. 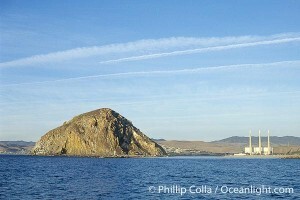 Photo 4: The power plant near Morro Rock. Dillon, Angela H. “Preserving Nature and Culture at Morro Rock.” Morro Bay, CA USA Guide to Nature, Recreation, Politics, Culture… Woodbury University, 18 Feb. 2008. Web. 27 Jan. 2011. <http://morro-bay.com/morsels/dillon/>. Felsman, Gary. “The Nine Sisters of San Luis Obispo County.” Sierra Club San Luis Obispo. Sierra Club, Santa Lucia Chapter. Web. 27 Jan. 2011. <http://santalucia.sierraclub.org/ninesis.html#preface>. “Morro Rock State Preserve – California State Parks of the San Luis Obispo Coast.” California State Parks of San Luis Obispo Coast. State of California, 2009. Web. 27 Jan. 2011. <http://www.slostateparks.com/morro_rock/default.asp>.